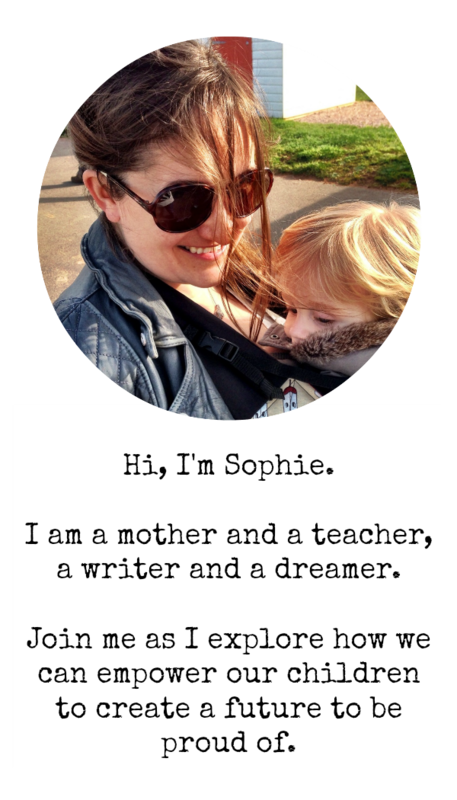 It is often in seemingly insignificant moments that I get most excited about this unschooling adventure we have embarked upon. There was a sequence of events the other day which pretty much blew my mind, but there was nothing particularly special about the circumstances that led to it. I was working – catching up on the piles of admin that have got neglected in the move – and Arthur was playing around me. He is getting better and better at doing that – keeping himself entertained, letting his interest lead his play and his learning. 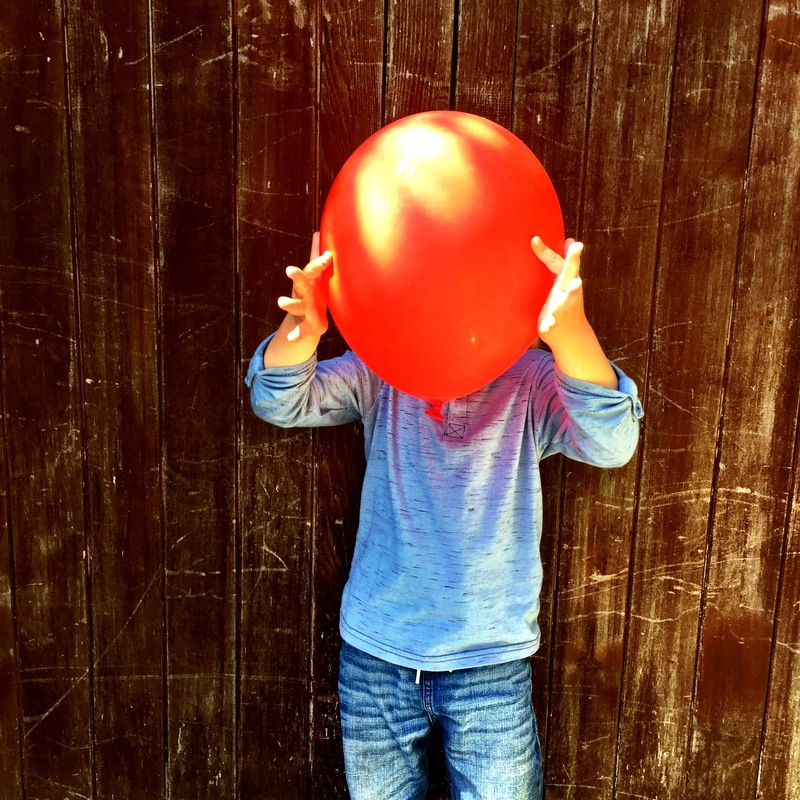 Often the focus of his endeavours is lego, but on this particular day he was fixated with a red balloon. He found it in one of the many half empty boxes in my study, and spent a while trying to blow it up himself before asking me to help. I obliged, and then turned my focus back to my work whilst he giggled at his efforts to keep his balloon aloft. After a while he came to me with another. 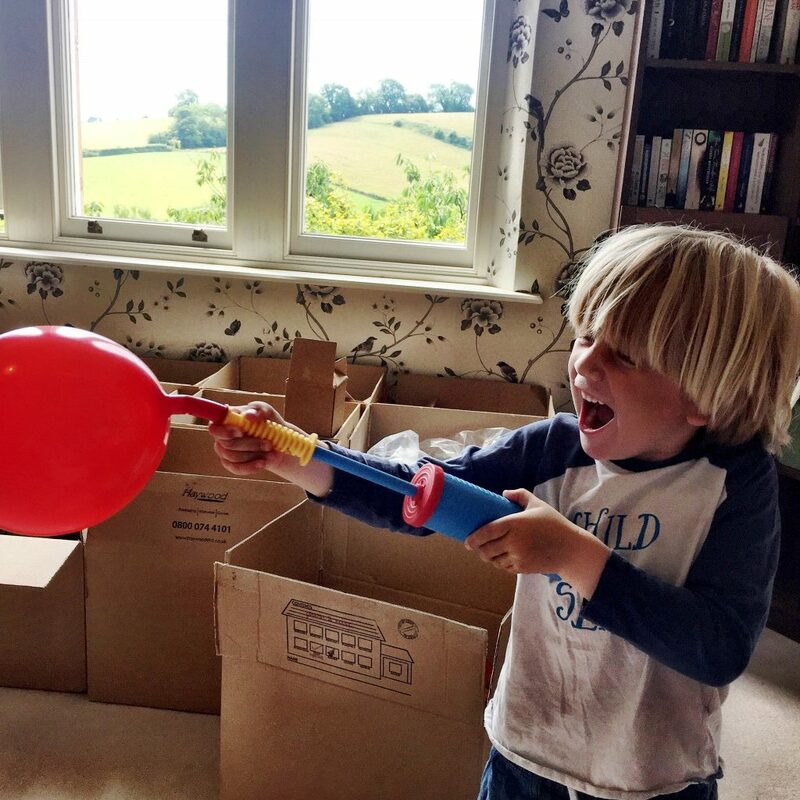 This time he didn’t want it tied – what he was after was the hilarious thrill of the air escaping from the full balloon as it flew around the room. We kept that going for ten minutes or so until I had to turn my focus more fully to my work and Arthur wandered off, a little disappointed that the game had ended. He reappeared not long after, having found from somewhere a pump which he soon worked out how to use to rekindle the game all by himself! He was so pleased to have solved the challenge he’d been facing, and delighted to be able to achieve independently the play which he had previously needed me to facilitate. 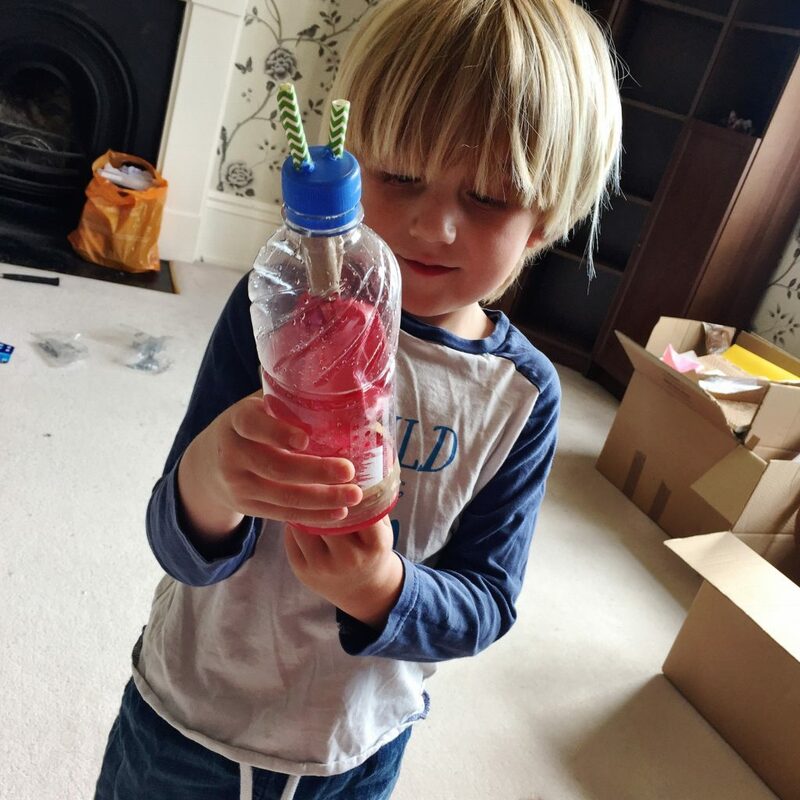 Once he began to tire of this, he began asking me if we could make a ‘lungs’ model – something we had done together almost a year ago but which had clearly stuck with him, inspiring lots of conversation about how we breathe and why our bodies need oxygen in the months between. I was racking my brains for exactly what we’d need to recreate it, keen to draw a line under my work and spend some focused time hanging out with Arthur and harnessing his inspiration. 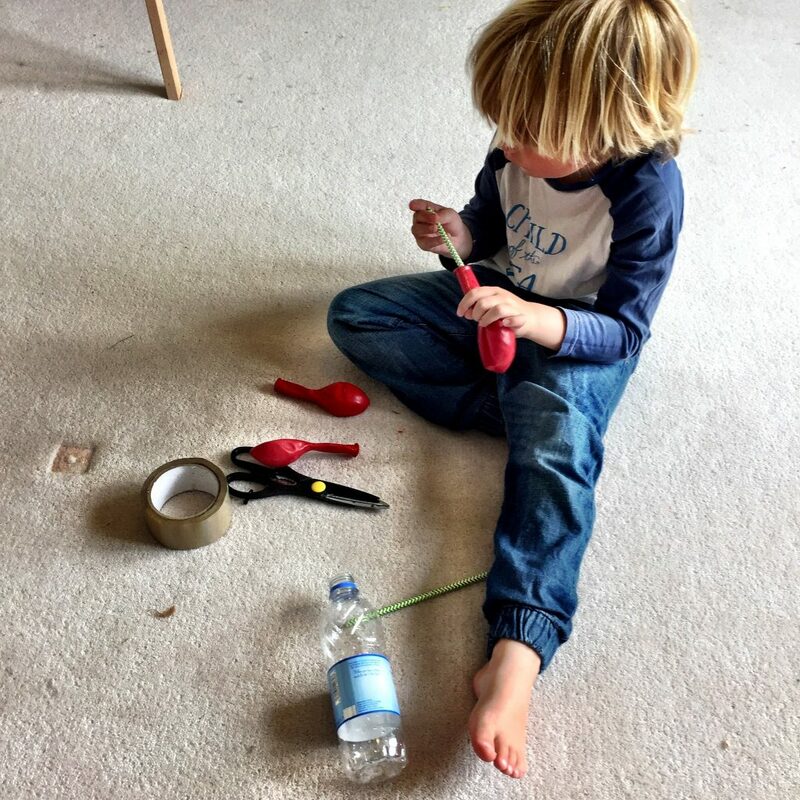 In the time it took me though to finish what I was doing, he disappeared – only to come back a few minutes later with a plastic bottle, two straws, tape and scissors, adding them to the balloons he had already located and all ready to start this new project. Even with the materials in front of me I was struggling to remember exactly how it all went together, but Arthur talked me through it – I did the tricky bits of cutting, and he did basically everything else. As we assembled this new model of the lungs, and worked together on maximising its efficiency, Arthur told me again what was happening and pointed to his body to show me where his lungs were and what they were doing. It was just the perfect end to a perfect sequence of science-based learning – and it had been led, almost entirely, by a four year old. I should perhaps be less surprised by moments like this as Arthur really gets into his stride as an intelligent, inquisitive learner, but I still can’t help but harbour doubts about whether we’re doing the right thing by keeping him out of the education system as he approaches compulsory school age. One of the main concerns friends and family voice about our decision to homeschool is that it will hamper his opportunities to be independent, will make him too reliant on us. As far as learning is concerned, though, I am getting increasingly convinced that the opposite is true. Once children are past the child-led, exploratory, play-based approach of the early years, there is little about our education system that fosters independent learners. Even with the best of intentions teachers are necessarily curtailed by the demands of the curriculum and the logistical challenge of steering a class of thirty very different minds in roughly the same direction. Opportunities for independence, if they exist at all, are neatly packaged in designated parts of the school day, with the need for accountability constantly overshadowing the potential for original approaches by either teacher or student. There may well be things that Arthur will miss out on – is missing out on already – by not being part of that system. But what he’s getting instead is the opportunity to find his own path to learn about the things that interest him in ways that are igniting his passion for knowledge and understanding – and that is very much alright by me.